Wondering how to take your car seat when you fly? 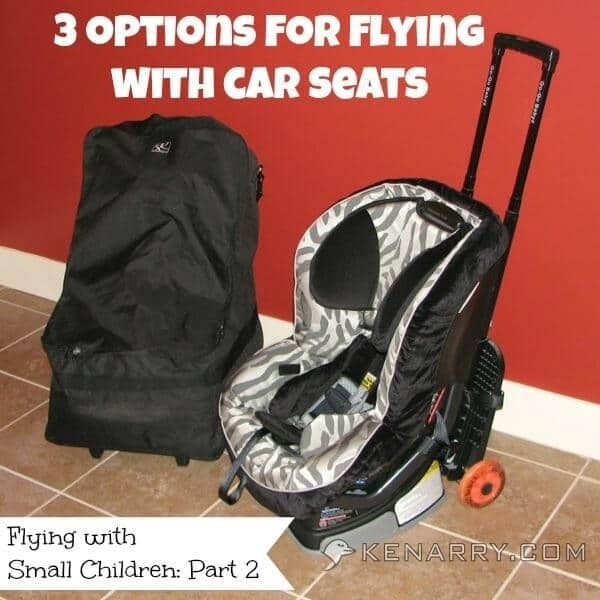 Learn three options for flying with car seats for babies, infants and kids. If you’re flying with small children, chances are you’ll also be flying with car seats as you’ll need them to transport your child safely wherever you’re going. Today we’ll look at all your options to help you make the best decision for traveling with your family. 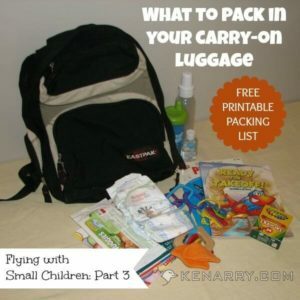 When you’re flying with small children, you can either rent a car seat, carry yours through the airport to use on the plane, or check it at the ticket counter. Flying with Car Seats Option 1: Rent a Car Seat. Rental car companies will loan you a car seat for the duration of your vacation. Be sure to reserve one at the time you make your reservation otherwise there’s no guarantee that a car seat will be in stock when you arrive at your destination. It’s convenient. You can avoid flying with car seats as it will be at your destination when you arrive. You don’t have to worry about an extra item on your flight or whether it will get lost en route. You don’t know the history of the car seat and can’t determine it’s quality, whether it’s been misused or how to properly install it. The rental car companies also usually charge almost the cost of the car seat itself for a week’s rental. Flying with Car Seats Option 2: Take the Car Seat on the Plane with You. If you’ve purchased a seat for your child on the plane, you can take the car seat with you through the airport and install it in your child’s seat on the plane. Having your child in his or her own car seat is the safest way to fly. Your child may nap better or be more comfortable in his or own car seat. You don’t need to worry about whether the car seat will get lost enroute. really worked slick to get both him and the heavy car seat from one gate to another between flights. 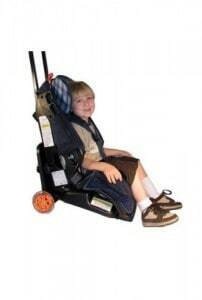 Lugging your heavy car seat through a crowded airport can be cumbersome. 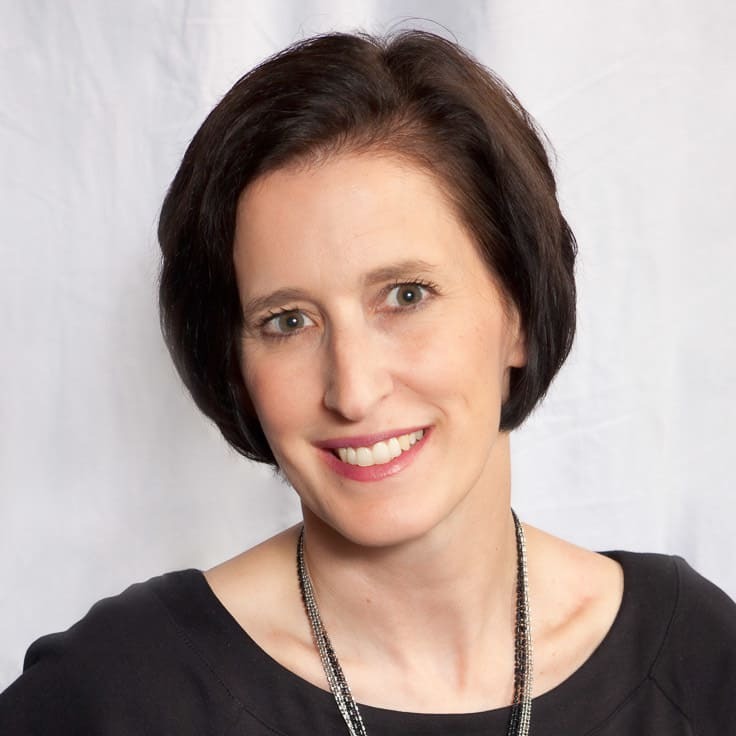 I often see exhausted parents trying to haul the car seat, their carry-ons and their children to catch a flight and think if only they knew they could put that car seat on wheels! As airline seats seem to get smaller and smaller, we’ve also found it can be challenging to fit a large car seat in an actual airplane seat. Find out ahead of time how large your seat will be and verify that your car seat can fit. Seat Guru is an excellent website that offers an Airline Seat Comparison Chart where you can look up the size of your seat by airline and aircraft. Flying with Car Seats Option 3: Check the Car Seat. Most airlines will allow you to check your child’s car seat at the ticket counter when you check your luggage. Car seats are usually free, so talk to a ticket agent rather than paying a baggage fee in advance at a kiosk if that’s the check-in method your airline uses. There seems to be enough other things to juggle getting through the airport when flying with small children without having to also deal with a heavy cumbersome car seat. You have a familiar car seat to install in your rental car. Installation will be easier and safer than trying to figure out how a strange car seat attaches properly. There’s the risk that the car seat may be lost or delayed by the airline. However, for us the advantage of not having to deal with the car seat through the airport outweighed the risk of it getting lost. to protect his infant carrier or “bucket” car seat. The bag was heavy duty and made it through several flights with us before it finally had too many holes and a broken zipper. 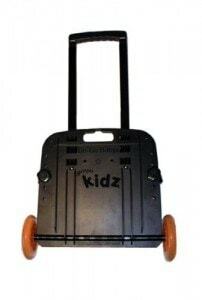 , but we find the one with wheels is easy to maneuver alongside other luggage. It’s been fairly durable, though we recommend removing the detachable shoulder strap and putting it inside the bag with the carseat for the flight. We didn’t and one of the clasps got broken during a trip. Another time there was a small rip in the bag when we got the car seat back from the airline, but it was easily repaired using a large sewing needle and dental floss. In our travels flying with car seats, we’ve avoided option 1 as I don’t like all the unknowns behind a rented car seat. We’ve personally tried options 2 and 3. We don’t like the hassle of hauling the car seat through the airport or the challenges with installing it in the cramped quarters of an airplane, so option 3 is our preferred method to have a car seat at our final destination. Which method do you prefer and why? Leave us a comment below. 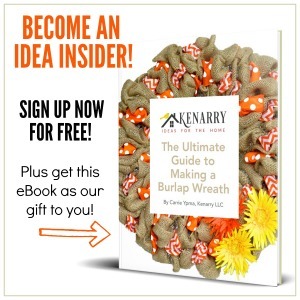 Thanks so much for visiting us, Bonnie – and for pinning the ideas! So glad you liked them. I can definitely see your points with all the car seat options. In my experience, it’s been easiest to borrow a car seat from a friend or family member in the destination city than to travel with one. My family took a car seat with us from Costa Rica to Italy and it was such a pain to lug through the airport. (We used a baby carrier for our baby so didn’t need the carseat on wheels option.) The worst part is that when we arrived for our 3 month stay in Italy, our hosts had already bought a seat for us AND we never actually needed it because we used busses all the time. Bummer. Great point, Jelli about borrowing a car seat from a friend or family member in your destination! That’s a wonderful option if it’s available. Costa Rica, Italy, Wow! What great experiences for you and your family. Appreciate the invite, Chastity! 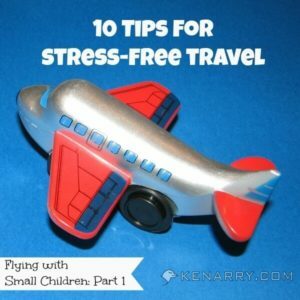 I shared the link to the entire Flying with Small Children series that we published this week rather than just the one about car seats. Have a great Valentine’s Day and enjoy the weekend! Andrea, checking the car seat at the gate would definitely work as well. If you don’t need a stroller at your final destination, I’d highly recommend using something like the Go-Go Babyz Kidz Travelmate. It attaches wheels and a handle to your car seat to make it easier to transport through the airport and acts as a stroller for your child. Just make sure you label everything well with your name and address and get a special gate check tag when you get to your gate. Safe travels! Very helpful for me! My son just turned 2 and we will be flying from Virginia to Los Angeles to spend a week with my sister in law soon. For one, I’ve never flown before and neither has my son. This shall be an experience for sure! Kayla, we’re thrilled to hear you found this post useful as you prepare for your cross country adventure. Flying can cause a lot of anxiety for you and your child, especially when you’re both flying for the first time. Preparing in advance can help ease some of that. Did you see our other tips for stress-free travel or for what to pack in your carry on? Do I need a car seat for my son who is 18 months to fly in his own seat? I always fly with him on my lap and he is very active so it’s getting harder to fly when he can’t have his own seat. My car seat is meant for compact cars because we have a littl Chevy sonic. I’m a little worried to have to bring a car seat with me because I’ll be flying without my husband. Torrie, great question! You should check with your airline to see what their official rules and recommendations are for 18 month old children. My understanding though is that you are not required to have your child in a car seat when you fly. If you’ll need it at your final destination, you may want to check it as luggage. Most airlines do not charge you an extra fee to check your car seats and strollers at the ticket counter. Hi Margot, we totally agree! Having that infant car seat travel bag makes it all so much easier.